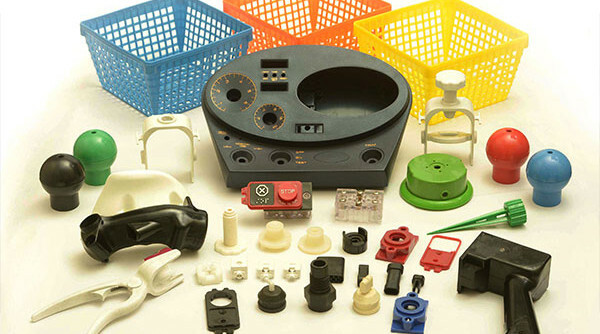 The plastic injection molding process quickly produces a large volume of high-quality parts with extreme accuracy. While not overly complicated, the process is precise. As you will discover, fabricators follow specific steps to ensure the finished product meets the customer’s requirements. First, fabricators select or make the required injection molds for plastics based on the customer’s needs. Then the process begins with the right plastic injection molding machine. Following are the different steps involved. Using a raw plastic material in granular form, the fabricator places the correct amount inside of the plastic injection molding machine hopper. A hole on the bottom allows the granules to enter the barrel. A reciprocating screw mechanism, which is part of the barrel, forces the material forward. The combination of friction, pressure, and heat makes the material soft enough to inject into the mold. As part of the heating process, the softened granules get inside of the screw’s grooves as it rotates. That same mechanism uses pressure to force the now-molten plastic through a nozzle at the end of the barrel, injecting it into the mold; that pressure ensures the entire cavity gets filled evenly. With increasing pressure, the material packs firmly and holds in place inside the mold. Once the material solidifies, the screw extracts, filling the mold with additional molten plastic so that there are no defects or voids. The clamping unit closes both halves of the mold tightly around the molten material. After the required cooling time, the clamping motor opens the mold. An ejector bar connected to the ejection system on the rear half of the mold pushes the now-solidified part or component out of the open mold cavity. The fabricator uses cutters to eliminate any waste material or flash. Once removed, the product gets packaged for delivery to the customer. The fabricator can add coloring and performance-enhancing additives to the granules to create customized parts and components. As mentioned, the fabricator uses the appropriate mold. If you need an intricate product, the manufacturing company can make one. Because the injection molding process is so fast, the machine can produce a large volume of identical finished parts or components. The fabricator uses the correct type of material for each customer’s needs. For example, some plastics work better for making door handles and eyeglass frames, while others get used for things like clamps, bushings, bolts, valves, and other items.